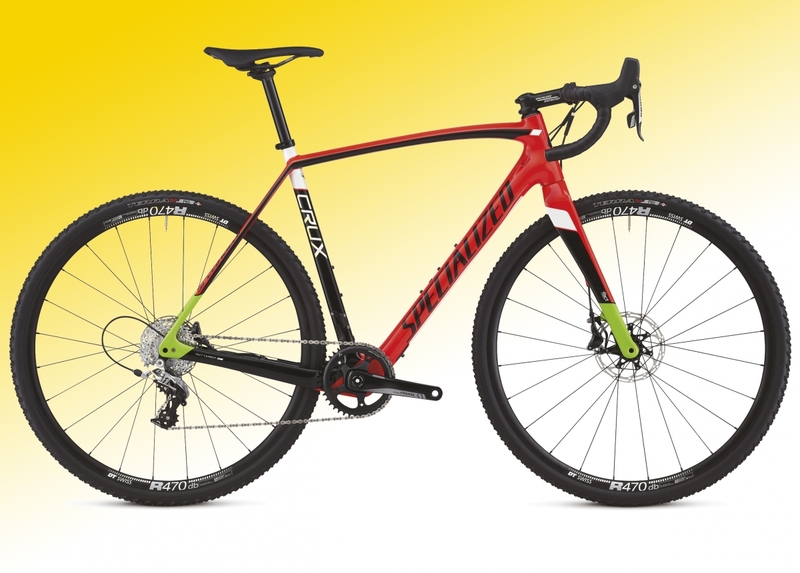 You know the new Specialized CruX means business as soon as your eyes are glued to that chunky carbon frame, day-glow paint job, the knobbly tyres and beefcake SRAM Rival 1 crankset. Designed to cope with the most arduous Cyclocross races, the ultra-lightweight FACT 10r carbon frame has been pumped up in all the vital places in order to withstand the brutal hammering of a muddy course, while the forgiving geometry makes it an ideal commuter machine. On the road, it’s comfortable cruising at a steady pace, with those off-road tyres providing a good level of grip without hammering the rolling resistance. But point he CruX towards a wooded area (preferably with plenty of mud) and the thing really flies. The SRAM Rival eleven-speed groupset provides a nice spread of gears to cope with most inclines and its happy to shift even with plenty of power pulsing through the cranks, while the powerful hydraulic disc brakes offer plenty of stopping power should the weather decide to turn really ugly. It’s not often you stumble across such a fine looking machine that’s also as practical and hard-wearing as a pair of Clarks shoes. But this might just be it.